In the music world today, it’s not every day that you run across an artist moving in his own lane. Artists have to hold themselves accountable for not only producing good music and learning the business of music. Kokki can write songs with a positive message for a multitude of genres.“As an artist, I will never limit myself. There is nothing I won’t do to become the best artist that I can be. If I’m at my best, you hear it in my music, says Kokki. The Chicago born rapper/songwriter, “Kokki” was born Stephon Nickelberry on January 7, 1984. Being the youngest of 5, two brothers and two sisters, Kokki was able to watch and learn the positives and negatives in life. During his teenage years, he attended Hyde Park Academy, on the south side of Chicago was the perfect outlet to channel some inner aggression while on the football team. As one of Chicago’s top running backs, he made the“All City, All Conference” and was featured in the Chicago Sun-Times and Chicago Tribune. Although football was his first love, he discovered another talent, where he use to “battle rap” with some of his friends, which he says, he would just be playing around, and didn’t take it serious at all. “Music and life itself inspired me to do music, growing up I’ve seen a lot. Within the last ten years of my life, I have loss 8 of my best friends, due to violence or car accident. I have made mistakes and learned from my own and others”, says Kokki. People started to notice the undeniable talent that he had as a rapper and told him that he should consider pursuing a music career. A couple of years after high school, Kokki went away to historical black college, Langston University, located in Langston Oklahoma, to study criminal Justice. In 2010, Kokki received his bachelor’s degree in Criminal Justice and is now focusing full-time on his music career. “One of my best friends, CITY, was one of my biggest fans of my music. I remember the night before he died, he told me no matter what, keeping using the gift of music God blessed me with and one day my dream will come true” stated Kokki. Considering the odds, Kokki became more engaged in his music and performed at many different nightclubs, lounges and school shows; including opening up for Grammy award-winning artist, Monica and legendary rapper, Too Short. In the year of 2013, Kokki opened up for the We The Best Music Group Recording artist: Ace Hood in Toledo, Ohio. Kokki has worked with numerous producers such as; Throwback, J Filly, Sound Stars and Loch Ness Monster[Chicago] and Chris Cutta [Oklahoma City]. Although he hasn’t appeared on many features, he looks forward to working with many artists, in the near future. Some of Kokki’s music such as; “I’m Kokki” and “Bag It” has been played on some FM radio stations such as; Chicago’s Power 92.3, Chicago’s 107.5 WGCI, Atlanta’s K-100 Radio and Oklahoma’s 89.3 KALU. Also, Kokki’s music has been played by one of Chicago’s most prominent DJ’s live mixes, DJ Phantom. “I have plenty of new ones ready to go for the upcoming year. He is currently in the studio working on a new album and will continue to give his fans great music. I will be releasing a new single called “By any means Necessary” produced by Cutta Classic very soon, says Kokki. “Do not let whatever is trying to stop you from reaching the success that you want to achieve because you can overcome with hope and hard work. Nothing can stop you, but you… I won’t stop grinding until I see results” says Kokki. 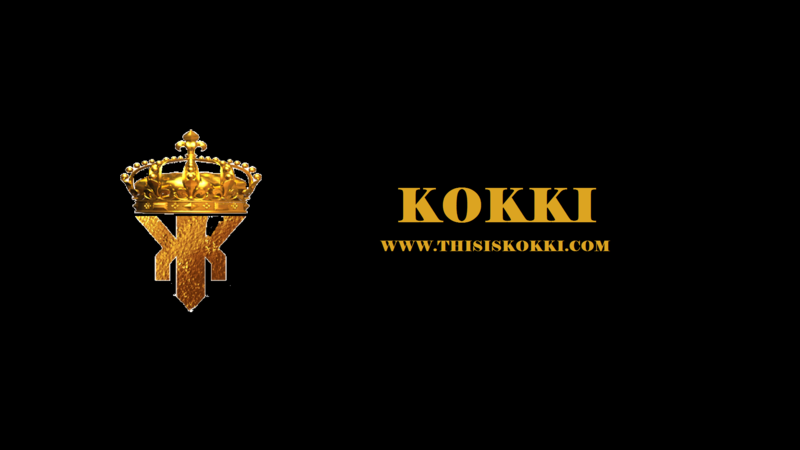 With that being said….Stay tuned for the Kokki one….taking over the radio waves, one station at a time.